Though Almeria is located just 30 km (19 miles) from Europe’s only desert, it offers some beautiful green spaces for those in search of a breath of fresh air. From the grounds of its Moorish fortress to a botanical garden in a stunning natural park, here’s our pick of the most beautiful parks and gardens in town. As its name suggests, the centrally-located Parque de las Familias is ideal for a family break whilst sightseeing, boasting as it does a variety of playgrounds and activities for kids. Adults, meanwhile, will enjoy the shade provided by attractive trees and the patches of greenery that are ideal for chilling on hot summer days. The park is well-maintained and always clean. Almeria‘s principal city park is the Parque Nicolás Salmerón, a long, thin stretch of greenery that runs alongside the port. It takes its name from a local politician who was briefly the president of Spain’s First Republic in 1873. 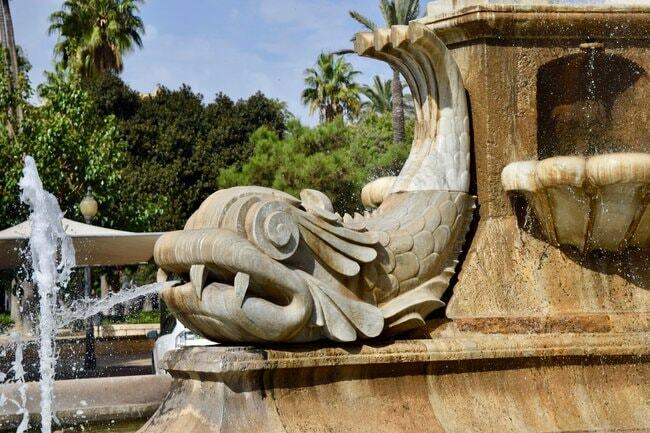 The park’s newer section was added in 1924 when the port was enlarged, and is separated from Parque Viejo (Old Park) by the Fountain of the Fish. 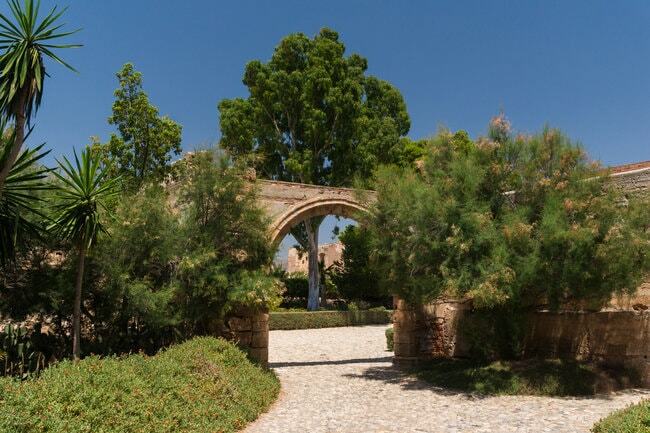 The Parque del Generalife is a small park located in the heart of modern Almeria. Though home to some attractive trees and pretty hanging flowers, this is not the kind of place to visit if you’re looking for a slice of nature in the city; rather, it’s the spot for a meditative time-out on one of the benches, to take the kids for a play, or to seek a little shade if you’re visiting Almeria in spring or summer. 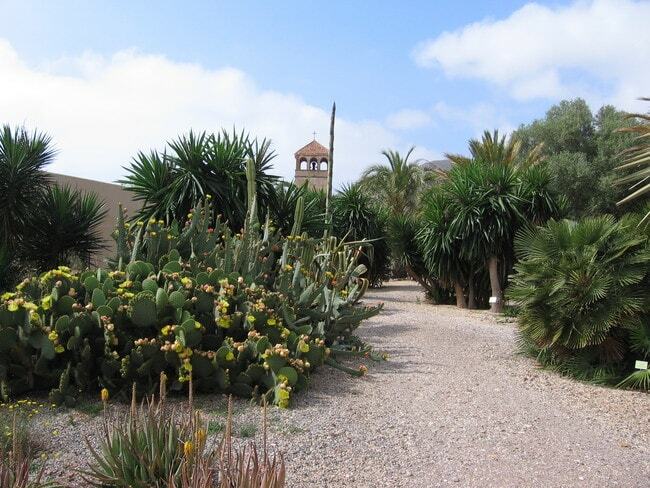 The Albardinal botanical garden is located in the Cabo de Gata-Nijar natural park, 47 km (29 miles) east of Almeria. It’s a well-planned space, with species of flora from the province’s different landscapes – desert, mountains, beaches – neatly arranged beside a winding path; and to complete the sense of being close to nature, the natural park’s surrounding landscape is always visible as you wander. The Almadrabillas park is a tranquil green space set just back from Almeria’s busy port, and is home to two kiosk-bars – one of which is a great spot for tapas – and several kids’ play apparatus. It’s also used as the setting for many of Almeria’s open-air events: held throughout the spring and summer, these include concerts, exhibitions and artisan markets. The gardens of Andalusia’s great Moorish fortresses are often as impressive as the buildings themselves, and those of Almeria’s Alcazaba are no exception. Sensuous, romantic and refined, they were an integral part of medieval life here, providing fruit and vegetables as well as aesthetic pleasure and a cool escape from Almeria’s desert-like climate. A well-kept green space in the centre of the city, the Parque Gloria Fuertes is popular among locals for its kiosk-bar, which serves excellent homemade food. For a real taste of Andalusia, try the huevos con patatas a lo pobre – ‘poor’ eggs and potatoes, fried in generous amounts of olive oil. There are also safe places for the kids to play and plenty of shaded paths for after-lunch strolls.